Thank you for stopping by The Summer Fun Giveaway Event, hosted by Mama to 4 Blessings and Mommyhood Chronicles! This event will take place from July 8th at 12:01am EST to July 18th at 11:59pm EST. For this event we will be celebrating summer! 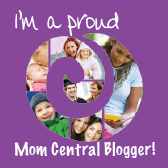 Which means each participating blogger will be offer summer related giveaways $15.00 and up! After entering my fantstic giveaway be sure to visit each blog from the linky and enter for your chance to win some really amazing prizes! What can you win here? Well, I am a firm believer that freedom of choice is a wonderful thing. So I am offering a $200 Amazon Gift Card! You could buy new swimsuits, sand toys, or maybe even put it towards a pool! The possibilities are endless here! This giveaway is open to US or Canadian Residents 18+ until 11:59PM on July 18, 2012. No PO Boxes. Winner will be drawn using Rafflecopter's Random Number Generator. All entries will be verified, so play fair! I will notify winner via e-mail and they will have 48 hours to reply before I am forced to redraw winners. No purchase necessary. Void where prohibited. This contest is not affiliated with Facebook in any way. Thanks for entering, and Good Luck! When you're done here, be sure to enter all of the other event giveaways! Disclaimer: Please note that Newly Crunchy Mama Of 3, “The Summer Fun Giveaway Event” bloggers are not responsible for sponsors that do not fulfill their prizes. We have represented each sponsor with the expectation they will fulfill their prize and in a timely manner. We will contact the sponsor regarding your prize(s). The sponsors, in most cases, are shipping their items to you directly. We will make every effort to assist you obtaining your prize. 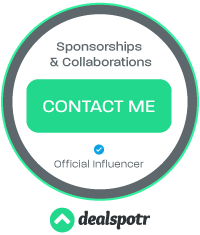 If there is an issue with a sponsor, please notify the blog you won a prize from within 4-6 weeks for assistance, after that we may be unable to assist you. Probably toys for my kids! I'd buy stuff for our baby on the way. I would do some serious shopping and create a beautiful library for my girls! Some baby stuff for our new little one! Some storage for my babys room. I would purchase a new hairdryer! I would buy something for the new baby, due this month. And maybe some clothes for myself =) Thanks so much for the giveaway! I would get all my Christmas shopping done.. I would buy my youngest grandson a new tricycle. I would buy a basic Kindle. I am saving up for Christmas presents, hoping to have Christmas cost me little to nothing. a Mailbox & GF Groceries. Lots of birthdays this summer so that's what I'd use it for. Thanks for this awesome giveaway opportunity. Rafflecopter kept timing out on me so I didn't want you to think I tried to enter twice. I had to re-enter my info each time. i would buy christmas gifts with the gc. I would buy books (print and for Kindle), CDs, DVDs, and Lego minifigures. I would get some bottles and buy my husband a great birthday present! I would buy books and supplies for school. I would buy cloth diapers and wet bags. With $200 I'll be able to get enough to CD full time! i would put it toward an ipad for my business!! Some books for sure and cds. I'd get a new stroller. I would purchase back to school supplies for my kids and pet food for my dog and cat. I'd use it to stock up on paper goods and purchase a swimsuit and sunglasses for my nephew. I would get some things for my new apartment! We need everything, especially kitchen stuff! I would probably get a coffee maker and a mandolin and maybe some dishes! I would buy clothes for my kids! I would save this for Christmas shopping for my girls! If I won I would buy text books for my son for next fall for college. A stroller for our new baby due in Aug.
$200 at Amazon might paralyze me with possibilities! I definitely would get a book or two, but I think the big purchase would be a bike for my daughter. Christmas presents for my grandson and daughter. I would buy textbooks for school! Books for our kindle and things our family needs. I'd buy a new microwave, a new toaster and probably some things or my dog & cats! I would use it to start shopping for Christmas for my gazillion nieces and 1 (well actually 2) nephews. I really need a new GPS unit for geocaching- and this would get a nice one! I would get books for myself and for gifts. I would buy a Hare Krishna Zombie figure. Obscure to most, but well known to fans of George Romero's film Dawn of the Dead. I would purchase a new Criterion DVD, and a new pair of glasses. I would save this for Christmas presents. No, Thomas...Not at all! I hold giveaways often and my winners always receive their prizes! I would get a composter. I would buy my 2 daughters school clothes. I would use it to put a dent into my Christms shopping for 10 nieces and nephews! I'd buy a new carset. I'd buy a variety of things that have been on my wish list for a while. I'd buy Christmas gifts for my granddaughters! I've been wanting one of those vintage red countertop popcorn machines. I would buy a new watch. I need one. I would get a set of cookware. I would save it for some black friday/cyber monday deals! I would use it toward my oldest daughter's college textbooks. This would almost give me enough to buy my mattress set I;m saving for. I would get some books and clothes. I would get wii games & dvds. I'd get an iPod Touch 4! If I won this prize, I would use it to purchase Christmas presents with for this year so that I wouldn't run up our credit cards. I would buy some swimsuits and flop flops! My niece wants a Kindle Touch so I would get her one for her b-day. I'd get a nice watch and a book about Tesla. I'd buy the Kindle Fire. I would purchase my daughter a pair of school shoes, some new outfits and supplies. Thanks for the opportunity! I'd get books and movies. Fun times! A Kindle Fire I want one so bad! I'd purchase two nice size flowering plants. I would use it towards a new vacuum cleaner. Mine is on the fritz. Thanks! I would buy a new chef's knife, a wireless mouse, and maybe a kindle. I would probably buy a couple DVDs, shoes, and a new digital camera since mine broke. I would buy a rototiller! I'd put it toward a laptop. I would save it for a weekend getaway with my husband this fall. I forgot to add that I would get a new outfit to wear and some new CD's to listen to in the car. My favorite is the Clubhouse Climber. I would use the GC for Christmas for my family. I want to thank you for this awesome sweep and hope to win :) Thanks !!!!!!!! Probably get an early start on Christmas presents. I'd get my mom a Kindle Fire for Christmas this year with the gift card. Thanks! Definitely a kindle for my fiance so he stops being jealous of mine! I'm expecting...so I think I'd get some stuff for the nursery. I would purchase things to feather a new nest since I need to move from the west coast to the east coast due to medical issues. I would get bookbags, shoes and some clothes for my girls for back to school. thank you!! I would buy Amazon Prime! I would finally be able to get my new computer! I'd get a great birthday present for my husband - either put it towards a new laptop for him or get him a Kindle Fire. ONE GOAL this summer, after 3 years of little success, help our 8 year old son Evan, catch his first FISH. So a new sleeping bag and fishing rod would certainly be a HUGE BONUS. I'd probably get an early start on Christmas gifts for my children! I'd love to get a Kindle Fire! Fall clothes for the kids! I'd buy textbooks for school. So many things...heh. Probably an e-reader, books and DVDs. Furniture for my deck. It would be so cool to have a genuinely useable outdoor room. I'd like to get a Fitbit, some books or a set of stainless steel pans. I would like a Roku!! Thanks. I'd buy some new pillows, our other ones are waaay old. I would probably get some books and then some toilet paper when it goes on sale. It would be used to help pay for my daughter's fall textbooks. This would motivate me to finally replace that carpet runner on the staircase. I'd get school stuff for the kids. I would buy some summer and fall clothes. I would get a Keurig brewer. I would purchase a new camera. I have two lovely grand babies and a broken camera! I would purchase the steam mop I have been saving for from Amazon. I would buy a Kindle and some ebooks. I would buy school clothes for the kiddos. Our Anniversary is coming up in Aug and I would like to get my hubby something special. This would greatly help me get something above the usual. I would use it to start my childrens school shopping.. I'd buy some home furnishings. I might be moving. I would get a Kindle Fire. I'd give it to my granddaughter to purchase her college textbooks. I would buy diapers for our new baby. I would buy books and gifts for the holidays - Thanks! I would definately use it for Christmas gifts. Maybe food, or a day at the beach. Baby items off our registry. I would buy a good leather cross body bag. I would get a flat iron. Kindle Fire for my mom. I would love to bring her up to speed with technology. I'd use this toward a new vacuum. thanks for hosting! I would purchase books for next semester. We are in the process of moving, so this would go towards minor updates such as new paint on front door and a new kitchen faucet! I'd buy ebooks, snacks, kitchen items, and textbooks! I would get some diapers and books. i would purchase essentials for my baby. I would use this to buy diapers. We're a bit short on money, so I'd like to stock up on some food products & vitamins that we usually buy from Amazon. It would be so amazing to get $200 for free! I'd buy some new music and movies. Birthday gifts...we have so many family birthdays in the summer/fall. Thanks so much for the chance to win! I would use it for my son's birthdays....Two birthdays coming up soon. I could really use some new shoes and we need a set of new plates for the kitchen. I'd love to get a new phone! I have a bunch of birthday presents to buy in the next few months!! I'd get a couple of books off my wishlist, and add the rest to the special edition of season 2 of The Walking Dead. I'd use it to buy textbooks for school in the fall. the 1st season DVD of Once Upon A Time when it's released. I'd buy a whole bunch of new books for my Kindle! I'd get a combination of dress clothes, and entertainment items for gifts. What would you purchase with your prize? Let me know in the comments! Books!! Lots and lots of books! I would get some new cookware! I would use it help me afford my textbooks for the fall. Please Enter Me In Your $200 Amazon Gift Code Giveaway. My Answer Is Some CDS And Maybe A Few DVDS. I'd buy a Kindle Fire and some books on my wish list. Groceries- a 2 week hospital stay killed the budget. Birthday presents for family and a Kindle Fire. I would do some school shopping. Start my Doctor Who collection. I would use it for much needed home repairs. :-) Thank you. I would buy a Kindle Touch! I have always wanted a laptop or iPad so It would go toward to one. Wow, lots of things, dvds & boardgames! I would put it towards the purchase of an iPad. My kindle has a cracked screen so I'd really like to get a new one. I would have to buy some new work shoes. I know so exciting..!!! school supplies and clothes for the kids! I would buy video games with it. I would use it for books and back to school supplies for my kids. I would love a kindle and some books for it. Thanks for this contest! Thanks for the giveaway..toward a new laptop for my daughter. I would use it toward a new Laptop or Tablet for myself! I'm afraid I'm one of the few sad souls still confined to my big, dusty, lumbering, immobile and painfully slow desktops... sigh...on a wing and a prayer...! I'd get an area rug. Both of my sons have birthdays coming up in the next few weeks. It would be spent on them. My daughter wants an iPhone. Books and early start on christmas gifts! I would purchase a Kindle Reader.